Aside from the New York Yankees, the 1972-1974 Oakland A's are the only baseball franchise to have won three World Series in a row. With bright green and gold uniforms, memorable facial hair, and a flamboyant, controversial owner in Charlie Finley, the A's were in many ways the opposite of the clean-cut, pinstriped dynasties of the Yankees. Following their '74 World Series victory, the A's top pitcher "Catfish" Hunter became the first important member of the dynasty to leave the team when he signed an unprecedented five-year, $3.75 million contract to play for the Yankees. Finley had only himself to blame for Hunter's departure, as the stubborn owner had refused to pay his star pitcher $50,000 in deferred salary compensation, resulting in arbitrator Peter Seitz's ruling to void Hunter's contract and award the pitcher free agency. Without Hunter, Oakland still won the 1975 AL West Division but were knocked out of the postseason by the Boston Red Sox in an ALCS three-game sweep. Hunter's high-dollar contract showed just how much a star player could earn via free agency and opened the door for the elimination of the reserve clause which allowed many of Finley's top players to be eligible for free agency after the 1976 season. Just over a year removed from his franchise's third straight World Championship, Finley now found himself faced with the possibility of losing most his star players to free agency at season's end. Unable to come to contract terms with free-agents-to-be, Reggie Jackson and Ken Holtzman, Finley traded those players--arguably the best hitter and best pitcher on his roster--to the Baltimore Orioles just before Opening Day. Then, with the June 15 non-waiver trade deadline approaching and his team struggling with a 27-31 record, sitting 5th in the standings, already 10.5 games out of first place, Finley went about trying to trade his star players who were eligible for free agency at the end of the season. Unable to work out adequate trades, Finley changed his tactics and decided to sell left fielder Joe Rudi and relief pitcher Rollie Fingers to the Red Sox for $1 million each and pitcher Vida Blue to the Yankees for $1.5 million. However, commissioner Bowie Kuhn voided those sales and ordered Rudi, Fingers, and Blue be returned to the A's. At first, Finley bitterly refused to allow Rudi, Fingers, and Blue to play, but after nearly two weeks and with the threat of a boycott by the rest of the team, Finley relented and allowed the players to rejoin the club. Despite Finley's antics, the '76 A's rebounded from their poor start and nearly won the AL West Division, finishing just 2.5 games shy of the Kansas City Royals, in second place with a 87-74 record. 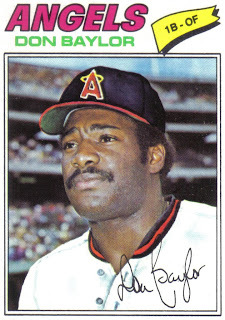 At season's end, six of Finley's top players--Bert Campaneris, Don Baylor, Rollie Fingers, Sal Bando, Gene Tenace, and Joe Rudi--filed for free agency and left the A's, signing multi-year contracts to play for other teams. In one fell swoop, Finley and the A's had lost more than half of their regular starting line up and the team's top relief pitcher. The six free agents had varying degrees of success after leaving Oakland. Rather than show the six departing free agents in their Oakland uniforms one last time, baseball card manufacturer Topps made the ill-conceived decision to airbrush the player's new teams' jerseys over top of their A's uniforms. Just as some departing free agents had varying degrees of success in their new home, some of the airbrushings were better than others. Campaneris was, by far, the longest tenured of Oakland's six departing free agents. Originally signed by the club in April 1961, "Campy" made his major-league debut in July 1964 and suffered through four losing seasons in Kansas City before the franchise moved to Oakland. Best known for his speed on the basepaths, the fleet-footed shortstop provided the team's spark at the top of the order and had led the AL in steals on six occasions, most recently in 1972. However, with the emergence of center fielder and fellow base-stealing threat Billy North, "Campy" had spent most of the last four seasons batting second in the order, behind North. After stealing just 58 bases at a 68% success rate over the '74 and '75 seasons for manager Alvin Dark, "Campy's" running game came back to life in '76 under new manager Chuck Tanner, swiping 54 bags at an 82% clip. In fact, under Tanner's aggressive running game, the '76 A's set the AL team record with 341 stolen bases. Two years before, when Catfish Hunter became a free agent, the New York Yankees signed the All-Star pitcher to a five-year contract. Teams looking to sign players available in the free agent market followed the Yankees' lead by signing almost all of the high profile free agents to five or six-year deals. At age 34, Campaneris was the oldest of Oakland's six free agents but his advanced age did not stop the Texas Rangers from signing the aging speedster for to a five-year contact worth $950,000. 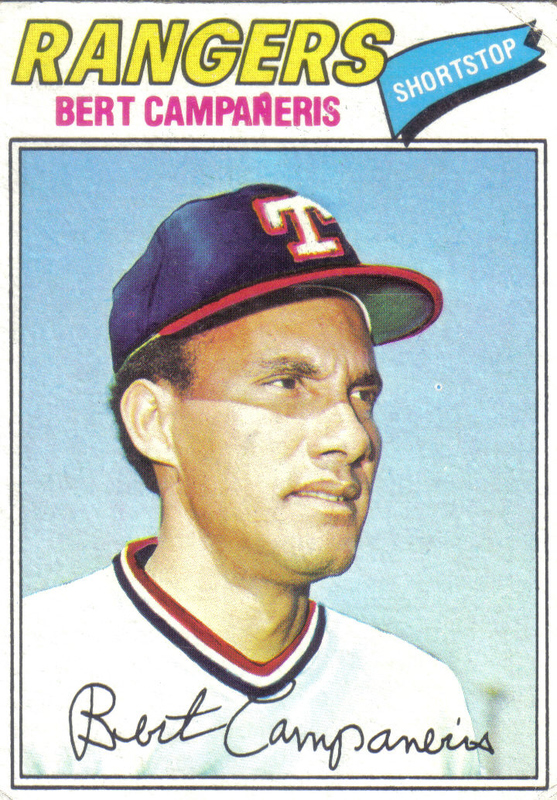 Campaneris joined a Rangers club coming off a 76-86 record. In his first season in Texas, "Campy" was the team's sole representative in the All-Star Game and finished the season with a .254 batting average and .314 OBP, pretty typical totals for the speedy shortstop. However, Campaneris struggled on the basepaths, nabbing only 27 bags while being caught a league leading 20 times, for an abysmal 57% success rate. "Campy" did lead the league with 40 sacrifice hits, becoming the first player since 1929 to finish a season with that many. Since that time, no player has reached 40 sacrifice hits in a season and on only four occasions has anyone reached 30. 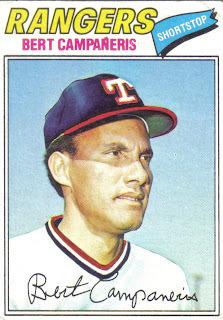 Rangers manager Frank Lucchesi used Campaneris as leadoff hitter but was fired in late June after a 31-31 start. Under Billy Hunter, Lucchesi's replacement, the team caught fire, going 60-33 to finish the season with a 94-68 record in 2nd place, eight games behind Kansas City. One of Hunter's main moves was to drop Campaneris to number two in the batting order and replace him at leadoff with Mike Hargrove, a player who frequently drew walks and got on base at a much higher rate than Campaneris. The following season Texas again finished the season in second place, this time tied with the California Angels, five games behind Kansas City with a 87-75 record. Unfortunately, Campaneris struggled mightily in '78 and was moved from second to ninth in the batting order. "Campy" finished the campaign hitting just .186 with a .245 OBP and horrid 37 OPS+--all career lows for the speedy shortstop. By season's end, Campaneris had lost his starting job and was being used mostly as a pinch runner. The only silver lining for Campaneris' '78 campaign was that he led the AL with 25 sacrifice hits and was successful in 22 of 26 steal attempts. A trade from Texas to California the following May reunited "Campy" with former A's teammates Rudi and Baylor but his days as a marquee player were over as he was used mostly in a part-time role with the Angels, amassing just 608 plate appearances over the final three years of his contract. Campaneris spent the '82 season in the Mexican League but returned for one last year in the majors, hitting .322 in a part-time role for the '83 New York Yankees. Baylor was the only one of Oakland's six free agents that was not with the team during their '72-'74 World Series-winning run. 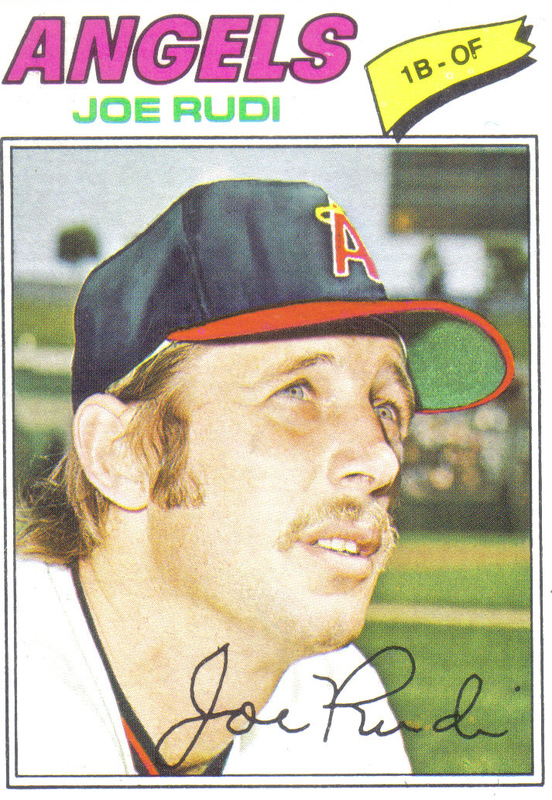 Baylor came to the A's as part of the trade that sent Reggie Jackson and Ken Holtzman to the Orioles just before the start of the '76 season. Like Jackson, Baylor was blessed with power and speed but lacked the strong outfield arm and keen batting eye possessed by Jackson. After drilling 25 home runs with a .282 batting average for Baltimore in '75, Baylor hit just .247 with 15 long balls for Oakland in '76 but did manage to steal a career-high 52 bases at an impressive 81% success rate and led the AL in hit by pitches with 20. Baylor was not highly regarded with the glove and his time in the field with the '76 A's was split between first base and right field, while also seeing time in left and being used as the DH. At age 27, Baylor was the youngest of the A's free agents and signed a six-year contract with Gene Autry's California Angels worth $1.6 million. Coming off six-straight losing seasons, the Angels were big spenders in the free agent market inking not only Baylor but also his A's teammate Joe Rudi and former Orioles teammate Bobby Grich to expensive, long-term deals. Despite the signings, the '77 campaign was a disaster for the Angels who won just 74 games--two less than the season before. While Rudi and Grich both suffered season-ending injuries in June, Baylor was able to stay healthy and get back on track power-wise with 25 home runs. However, Baylor continued to hit for a low average, batting just .251. Baylor stole 26 bases but at only a 68% success rate and fielded atrociously in his limited play in the outfield. The following season Baylor hit only .255 but his power reached new heights, with the slugger clubbing 34 home runs along with 99 RBI and 103 runs scored, helping the team finish 87-75, tied with Texas for second in the AL West, five games behind the Royals. Baylor would follow up his strong '78 campaign with his finest season in '79 when he played all 162 games, batted .296, hit 36 home runs, and led the AL with 120 runs scored and 139 RBI. California finished the year with a 88-74 record and won the AL West crown to make the playoffs for the first time in franchise history. A large amount of credit for the team's success was given to Baylor, who was viewed as the team leader. The Angels would fall to a 102-win Orioles team in the ALCS but Baylor's big contract had obviously paid off and at season's end he was named AL MVP. As good as the '79 season was for Baylor and the Angels, the '80 campaign was equally bad with a wrist injury limiting the slugger to just 90 games and 5 home runs. Meanwhile, the team plummeted to 6th, tying a franchise-record with 95 loses. California played better in '81 but failed to contend for the Division title in either half of the strike-shortened season. Baylor struggled mightily in the first half, hitting only .187 but rebounded to hit .296 in the second half. By this point Baylor was almost primarily a DH and no longer the base-stealing threat he had been when he signed the free agent contract. During the final year of his contract, Baylor hit .263 with 24 home runs and 93 RBI to help the 93-win Angels take the AL West. California once again failed to advance past the ALCS, this time eliminated by the Milwaukee Brewers in five games, but little blame could fall on Baylor who drove in a Series-leading 10 runs. Following the '82 season, Baylor signed with the Yankees as a free agent. Baylor played well for the Yankees but the team was unable to make the playoffs in his three seasons with the club. After failing to advance to the World Series in four trips to the ALCS--two with the O's and two with the Angels--Baylor wrapped up his career with three straight appearances in the Fall Classic from '86-'88 as DH for three different teams, the Boston Red Sox, the Minnesota Twins, and the Oakland A's. It was with the '87 Twins that Baylor finally picked up the elusive World Series ring. After spending eight seasons as an uncompetitive franchise, San Diego Padres owner Ray Kroc made a big splash to reverse his team's fortunes by signing two marquee free agents, Rollie Fingers and Gene Tenace, to expensive contracts. Already a five-time All-Star with three World Championship rings and a World Series MVP to his credit, the 30-year old Fingers was regarded as the most dominant relief pitcher of his time. Coming off a 20-save '76 campaign, the handle-bar mustached Fingers traded in the gaudy green and gold colors of the A's for the equally gaudy brown and gold of the Padres, agreeing to a six-year deal worth $1.6 million. Signing with San Diego reunited Fingers and Tenace with John McNamara, the Padres' skipper who had managed them earlier in their careers in Oakland. Despite the addition of Fingers and Tenace, San Diego's roster had too many other holes to fill and the team remained uncompetitive. 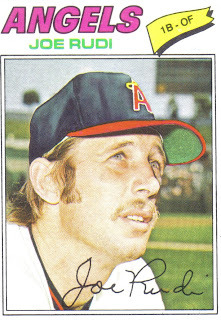 McNamara was fired after a 20-28 start to the '77 season and replaced by Alvin Dark, who had led Fingers, Tenace, and the A's to the '74 World Championship. The managerial change had little affect on the team's performance as the Padres finished the season with a dismal 69-93 record--actually winning four less games than the '76 squad. Despite the team's struggles, Fingers was at his finest, saving an MLB-best 35 games--more than half of the team's wins--and picking up the NL Fireman of the Year Award (now known as Rolaids Relief Man Award). Dark was dismissed just prior to the '78 season and replaced by Roger Craig, who led the club to it's first winning season in franchise history, going 84-78. Fingers was a big part of the team's success, once again leading all of baseball in saves, this time finishing with 37, a mark that tied the NL single-season record set by Clay Carroll six years earlier. In addition, Fingers picked up his second consecutive NL Fireman of the Year Award. 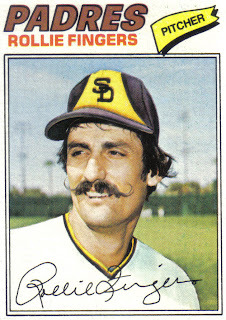 However, Craig and the Padres came back down to Earth in '79, sliding to a 68-93 record and costing Craig his job. 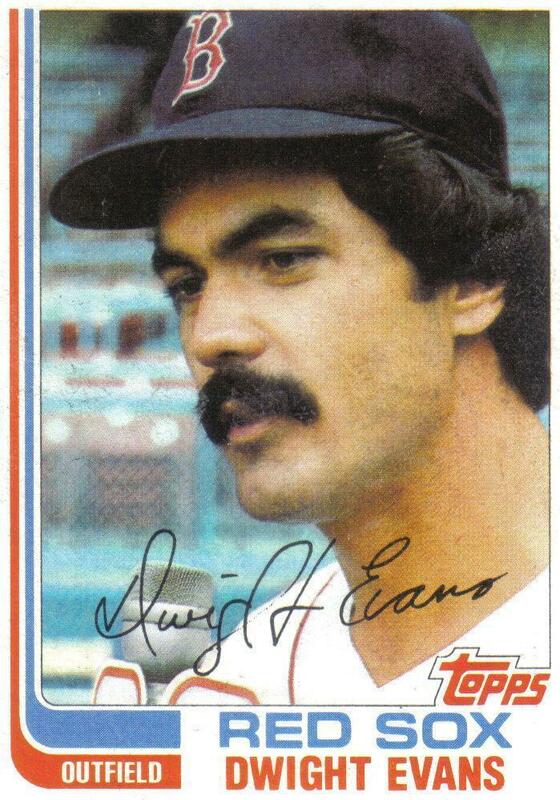 Fingers also had a difficult '79, picking up just 13 saves with an uncharacteristically high 4.52 ERA. Fingers got back on track in '80, dropping his ERA down to a more typical 2.80 and collecting 23 saves for 73-win Padres, now helmed by the team's former broadcaster Jerry Coleman. The mustached relief pitcher also picked up another NL Fireman of the Year Award and became the all-time leader in saves. On December 8, 1980, Fingers and Tenace were traded from the Padres to the St. Louis Cardinals as part of an 11-player deal. However, Fingers would never throw a pitch for St. Louis as he was sent to the Milwaukee Brewers four days later in a seven-player trade. Unlike the Padres, the Brewers team Fingers joined was a perennial contender and seemed on the brink of a Division title in the extremely-competitive AL East. Milwaukee had averaged 91 wins over the past three seasons but lacked a true closer in the bullpen. Fingers proved to be the missing ingredient, going 6-3 with an MLB-leading 28 saves and a sparkling 1.04 ERA, as the team made the postseason for the first time in franchise history, winning the AL East in the second half of the strike-shortened '81 season. Fingers factored into Milwaukee's two playoff victories that year, picking up a win and a save against the Yankees, who eliminated the Brewers in the five-game AL Division Series. At season's end, Fingers was rewarded for his amazing '81 campaign with not only the AL Fireman of the Year--his fourth Fireman Award in five seasons--but also the AL Cy Young and MVP Awards. Fingers followed up his stellar '81 with another good season, picking up 29 saves but was lost for the remainder of the year in early September when he tore a muscle in his arm. Despite Fingers' injury, the Brewers were able to hold off the Orioles in a hotly-contested AL East Division race. Milwaukee was able to make it past the Angels in the ALCS without Fingers, but his presence was missed in the World Series as Milwaukee's bullpen coughed up the lead in Game 7 and fell just short of the World Championship against the Cardinals. Fingers arm injury cost him all of '83 but he came back strong in '84 with 23 saves and a 1.96 ERA, before a herniated disk in his back ended his season in late July. By this point, time had passed by for the aging Brewers who won just 67 games and finished last in '84. Unfortunately, old age caught up with Fingers in '85, as he went 1-6 with 17 saves and an ineffective 5.04 ERA. 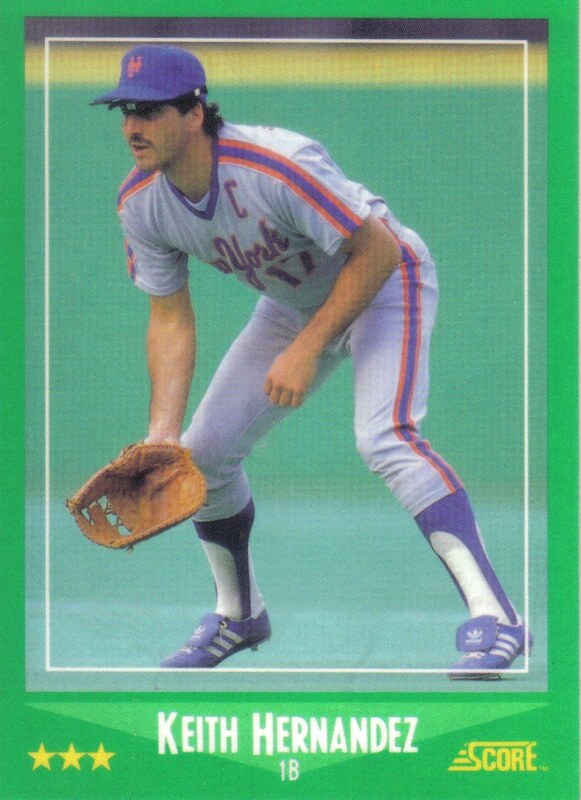 Fingers' difficult '85 season turned out to be his last, though he was offered an invite to Spring Training by the Cincinnati Reds in 1986. However, eccentric Reds owner Marge Schott refused to budge on the team's no facial hair policy and told Fingers he would have to shave off his famous handle-bar mustache. ''I told the Reds to have Schottzie (owner Schott's dog) shaved instead,'' Fingers said. ''So much for my joining the Reds.'' Fingers finished his career with a then-record 341 saves and was elected to the Hall of Fame in 1992 on his second year on the ballot. As the third baseman and team captain, Sal Bando was a large part of Oakland's leadership on the field and in the clubhouse. MVP voters had recognized Bando's valuable contributions to the A's success, voting him runner-up to teammate Vida Blue for the '71 MVP, fourth in '73, and third in '74. 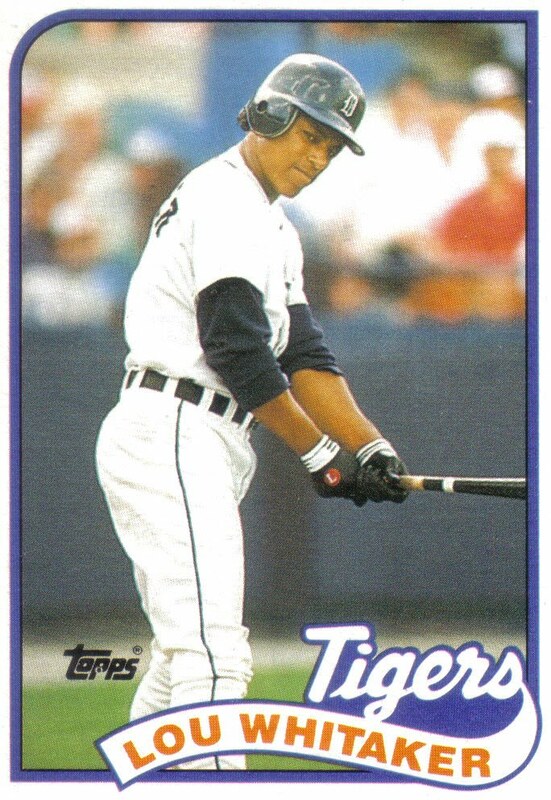 Bando was also one of baseball's most durable players, averaging 157 games played over his nine full seasons in the majors, a category he led the AL in four times. Coming off a difficult '75 campaign in which he hit an uncharacteristically low .230 with just 15 home runs, Bando raised his average only slightly to .240 but got back on track power-wise with 27 longballs, second to Graig Nettles in the AL. In addition, Bando stole a career high 20 bases--one of eight players to swipe 20 or more bags for Oakland in '76. The Milwaukee Brewers were interested not only in Bando's playing skills but also the winning attitude and intangibles he brought to the table. With this in mind the Brewers signed the 32-year old Bando to a five-year contract worth $1.406 million. 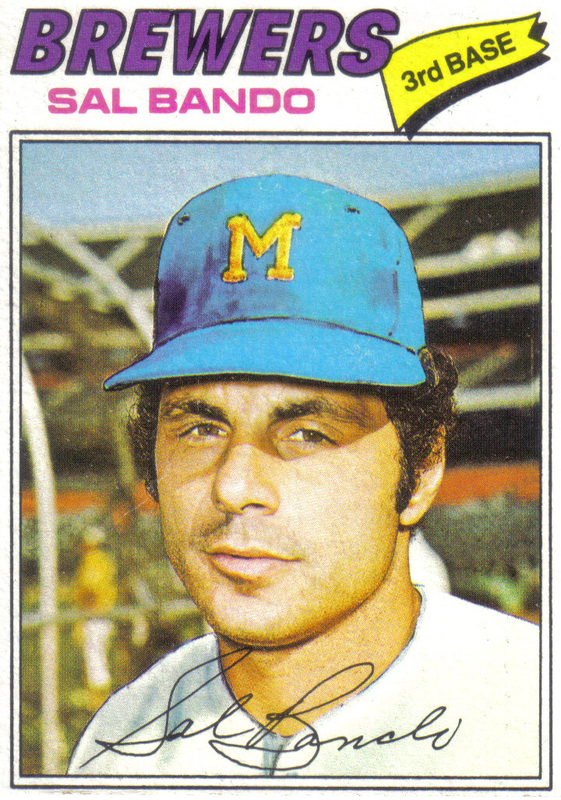 Bando joined a Brewers team which had finished the '76 season at the bottom of the AL East with just 66 wins. In its eight-year existence as a franchise, Milwaukee had won no more than 76 games and finished last or next to last seven times with the lone exception being a 4th place finish in 1970. In his first season with Milwaukee, Bando was named team captain and hit .250 with 17 home runs and 82 RBI but the club continued to struggle, finishing the season in 6th place with just 67 wins for manager Alex Grammas. However, the following season, the Brewers did an about face and went 93-69 under new manager George Bamberger to finish a surprising 3rd in the ultra-competitive AL East. Bando contributed to the success with 17 homers, 78 RBI, and a .285 batting average--the second highest batting average in his career. Bando struggled during the '79 season, hitting .246 with just 9 homers and 43 RBI. By contrast, the team proved their '78 turnaround was no fluke, winning 95 games and finishing 2nd, eight games behind the Orioles. Milwaukee regressed to 86 wins in 1980 while the 36-year old Bando finished the campaign with a horrid .197 batting average and shared his third base job with Jim Ganter and Don Money. However, despite his struggles at the plate, the franchise still viewed Bando's leadership and strong presence in the locker room as a valuable commodity and had started using Bando in the dual role of player-coach during the '80 season. 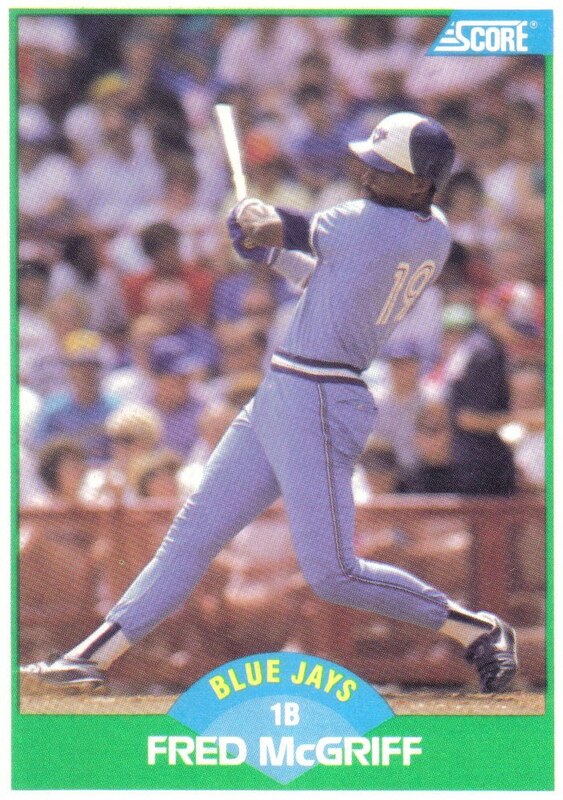 Bando wrapped up his playing career as a bench player, hitting .200 in '81. The Brewers were able to make the playoffs and Bando got the nod to start all five games of the AL Division Series at third base in place of the injured Money against the Yankees. Bando performed well in the playoffs, hitting .294 but the Brewers were eliminated by the Yankees in five games. After the playoffs, Bando announced his retirement as a player and was named special assistant to general manager Harry Dalton. Bando would succeed Dalton as the Brewers' GM in October 1991 and hold the position until August 1999. Toiling in the majors as a little known back up catcher, Gene Tenace took the baseball world by surprise with his dominating performance against the heavily-favored Cincinnati Reds during the 1972 World Series. In the closely-contested seven-game Series, Tenace batted .348, hit 4 home runs, and drove in 9 runs to help the A's defeat the Reds. Tenace's excellent Fall Classic not only earned him the World Series MVP Award but also helped him secure a regular spot in Oakland's line up. Over the next four seasons, Tenace split time between first base and catcher, averaging 25 home runs and 78 RBI. 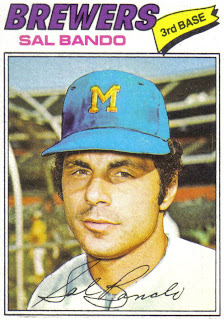 Tenace struck out regularly and did not hit for a high average--averaging 104 whiffs while batting just .244 from '73-'76--but offset that by averaging 100 walks with a superb .381 OBP. Despite missing more than a month of the '76 season due to a leg injury, Tenace still managed to hit 22 home runs and drive in 66 runs while batting .249 with a .373 OBP. Tenace's high strike out rate and low batting average did not deter the San Diego Padres from signing the 30-year old power-hitter to a six-year, $1.815 million contract. 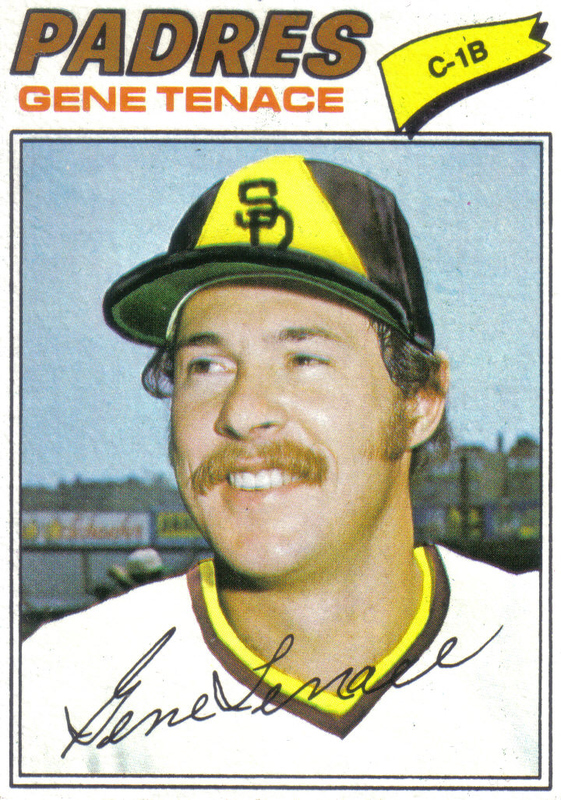 Tenace's ability to catch on a semi-regular basis should have opened up a spot in the San Diego line up for a first baseman who could also play another position when Tenace was taking a break from being behind the plate. During Tenace's four years in San Diego the team used Mike Ivie, Broderick Perkins, Mike Hargrove, Dan Briggs, and Willie Montanez at first. The Padres seemed to have the right player to complement Tenace when they acquired Hargrove from the Texas Rangers prior to the '79 season. Like Tenace, Hargrove drew a copious amount of walks and usually got on base around 40 percent of the time. In addition, Hargrove had played some left field during his time with Texas. However, Hargrove's bat went cold with San Diego--as he inexplicably hit just .192 with an uncharacteristically low .325 OBP--before being traded to the Cleveland Indians on June 14, where he immediately regained his stroke. Like Hargrove, each of the other players San Diego used at first struggled to hit at an adequate level for a first baseman, thus negating much of the advantage of having the strong-hitting Tenace catch. 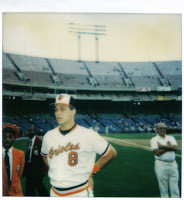 Following the '80 season, Tenace was sent to St. Louis where he wrapped up the final two years of his contract as back up catcher to Darrell Porter. Tenace proved to be a valuable veteran off the bench, hitting 12 home runs and driving in 40 runs with a .245 batting average, .426 OBP, and 146 OPS+ in his combined two seasons with the Cardinals. 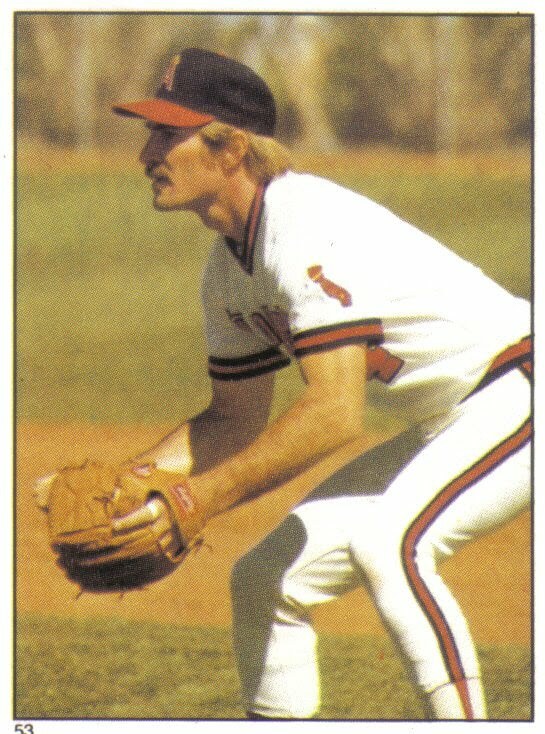 After four seasons with the uncompetitive Padres, Tenace was able to return to the postseason with the Cardinals in 1982 and pick up his fourth World Series ring. A free agent again after the '82 season, Tenace spent one season as a bench player for the Pittsburgh Pirates before calling it a career. While many of the players from the Oakland A's dynasty had colorful personalities or memorable nicknames, Joe Rudi quietly plied his trade in such a way that he was often referred to as the most underrated player in baseball. At times Rudi's easy going nature worked against him as Finley had manager Alvin Dark temporarily move the slick gloved Rudi from left field to first base to make room for Claudell Washington in the outfield. By the '76 season Rudi was back at his customary position in left and led the team with 94 RBI, despite being sat by Finley for nearly two weeks after the owner unsuccessfully tried to sell him to the Red Sox. As a two-time AL MVP runner up with three Gold Gloves to his credit, it would be hard to call Rudi underrated, as his services were among the most sought after in the free agent market. Small injuries often plagued Rudi and the fact that he had only eclipsed more 130 games played in a season twice may have been a cause for some concern for teams interested in signing the 30-year old, but this did not deter the California Angels from inking the left fielder to a five-year, $2.09 million contract--the richest of the six Oakland free agents. Rudi's Angels career started off well enough with 13 home runs and 53 RBI in the first 68 games of the '77 campaign, but his season ended prematurely on June 26 when he took a pitch to the hand from Rangers hurler Nelson Briles. Prior to the injury, Rudi was on pace for a 30-home run, 120-plus RBI campaign, which would have been personal bests for the left fielder. Without Rudi, the Angels fell out of the Division race, going from a 35-33 record, 3.5 games behind the Minnesota Twins in 3rd place to finish 74-88, 28 games behind the Division-winning Kansas City Royals in 5th place. Rudi was back on the field in '78 to help the Angels finish 2nd but his 17 home runs, 79 RBI, .256 batting average stat line was a noticeable step below what he produced with the A's. 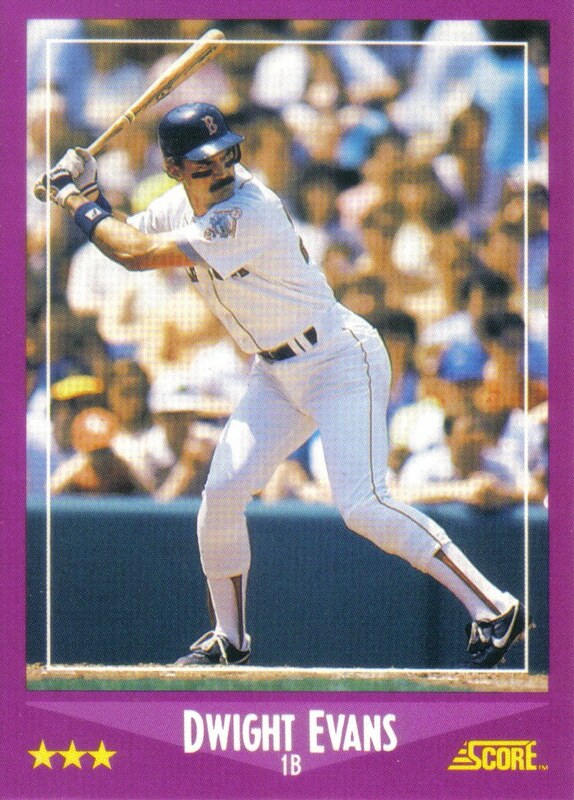 The following year, Rudi's average dipped to .242 but he was able to hit 11 home runs and drive in 61 runs in just 90 games before being bit by the injury bug again, this time with a season-ending Achilles tendon injury in mid-August which forced him to watch from the sidelines as fellow free agents Baylor and Grich led the team to its first Division title and playoff appearance. Calf and hamstring pulls plagued Rudi during the '80 campaign, as the left fielder once again saw his season cut short in mid-August with a .237 batting average, 16 home runs, and 53 RBI in 104 games. 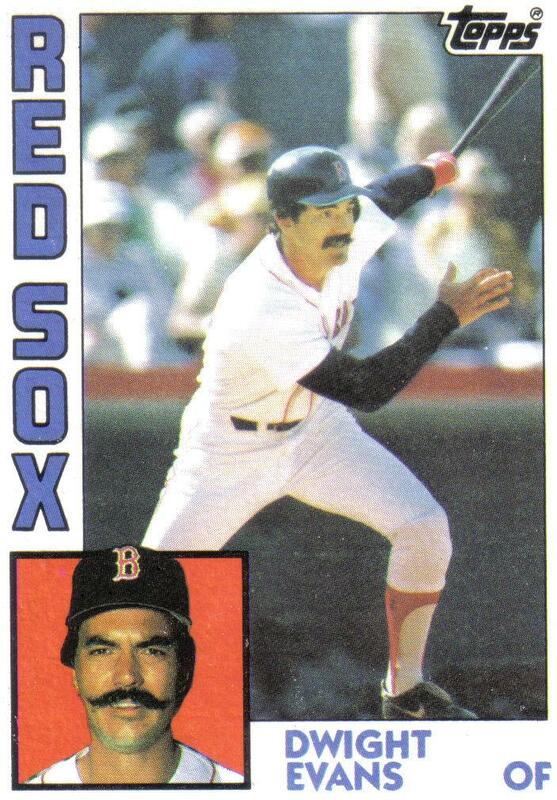 After the '80 season, California traded Rudi to Boston as part of a five-player deal that also sent pitcher Frank Tanana to the Red Sox and Fred Lynn to the Angels. Boston used the injury-prone Rudi as a pinch hitter and DH. Unlike three of the previous four years, Rudi was able to make it to the end of the season, but with little success, hitting just .180 with 6 home runs and 24 RBI in the strike-shortened campaign. After five difficult, injury-filled seasons, Rudi once again found himself a free agent and decided to return to the Oakland A's franchise, signing a two-year contract with his former team. Unfortunately, Rudi was unable to rekindle the magic of his early days with the A's dynasty, hitting just .202 in '82, while sharing the first base job with Dan Meyer and Jim Spencer. Recurring Achilles tendon injuries kept Rudi on the disabled list for the entire '83 season and marked the end of the former two-time MVP runner-up's career.